Iron and steel are integral elements in every construction which provides strength to the construction and make it capable of tolerating extreme weather and destructive forces of nature. They must be of supreme quality as the quality of construction must never be compromised as when natural calamities strike, it is the homes that provide shelter. Structural steel and angle irons are two of the most important reinforcement required in every construction. They are used in building beams, pillars and the roof, which has to sustain the load of the entire construction. Steel holds so much importance owing to its features like strength to weight ratio, flexibility and being rust free. After 100 years of its invention, no construction can be fathomed without steel. Whether it is a high rise building, war ships or long pipelines, steel is in every such thing. Structural steel is a framework material used in all the non-residential homes. Beams and columns made of steel are the skeleton of the building which supports the entire structure. Heavy angle iron is used as a structural element in bridges and buildings. Skyscrapers and high rise buildings that we see around us does not only require brick and mortar. 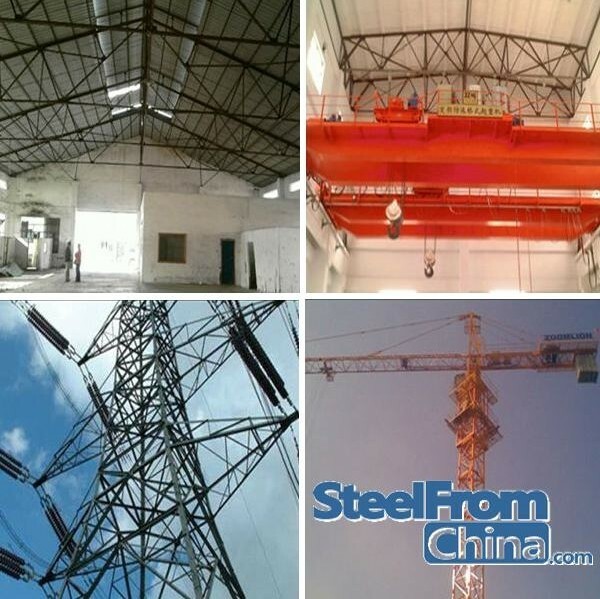 Structural steel is the most important element that renders the desired strength to it. It is in fact the framework which holds the entire construction and protects it from the brute forces of nature. Beams and columns are the steel members that support every part of the building. The steel elements that are required in every constructions can be categorized under steel sections, steel pipes, steel tubes, steel coils, steel sheets and steel plates. The steel sections include a wide range of mild steel products such as Angle Iron, flat bar, I-beam, H-beam, IPE and steel channels. Angle irons have a variety of applications such as engineering structures, building structures and also metal components and frameworks of factories. 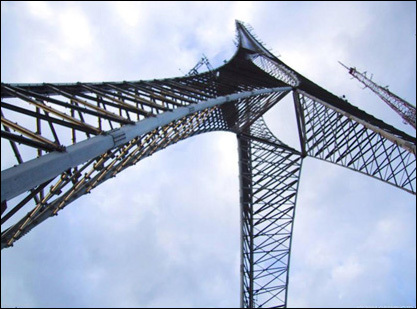 The transmission towers and signal towers also use angle iron in its construction. Another structural steel, flat bars are also an important element used for fabrication, structuring and building frames. These bars are made of mild steel and hence can be easily cut, drilled and welded. They are primarily used in making furniture, machinery, spare parts of the railways and ships, towers, boilers and similar structures. 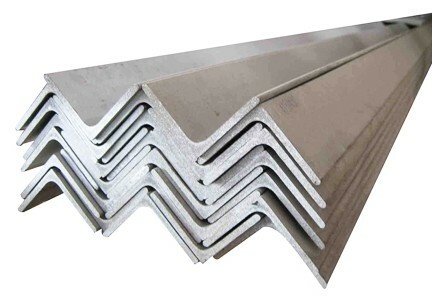 The characteristics of flat bars also make it useful in making pipes, roles and thin slabs. The plasticity of the flat bar lets it handle larger pull. I-beam crossed section comprises Universal beam and universal columns, IPE and H-beam. The elements that are horizontal elements that are made of structural steel and find use civil engineering works like bridges. H-beam is a structural steel of cross sectional shape of H-section steel. It is used in various types of constructions like high-rise building and factories, etc. These beams have excellent bending capabilities which makes for simple and cost-effective construction. The European I – beam is called IPE having parallel flange surface. These are available in various sizes and find application in construction industries. They can be used both as columns and beams with composite materials like concrete. IPE is a section of long steel. It has architectural and mechanical applications like bridges, buildings, automobiles, etc. Another important structural steel is the steel channel with a U-shaped cross section with right angles having two narrow sides. Manufacturing and fabricating a wide range of engineering products. It is a cross section of a slot line of steel. The steel channels are of two types- common steel channels and light steel channels. They are used for various purposes, including building structures, vehicles and other industrial structures. These channels are often used in combination with the H-Beam. All these structural steels play a pivotal role in all types of construction. The quality of these elements is therefore very important. Every construction projects require hundreds of different building materials. The commercial and industrial structures experience heavy foot fall and therefore are built using structural steel and reinforced concrete. While building a structure, it is important to decide the materials which are required to be used. A lot needs to be considered when choosing construction material. Cost is definitely a controlling factor, durability, sustainability, fire resistance, strength are also some of the desired attributes. This entry was posted in Angle Iron, structural steel and tagged angle iron, structural steel on September 15, 2014 by Richard.